RIM highlights sales in developing nations as major success. 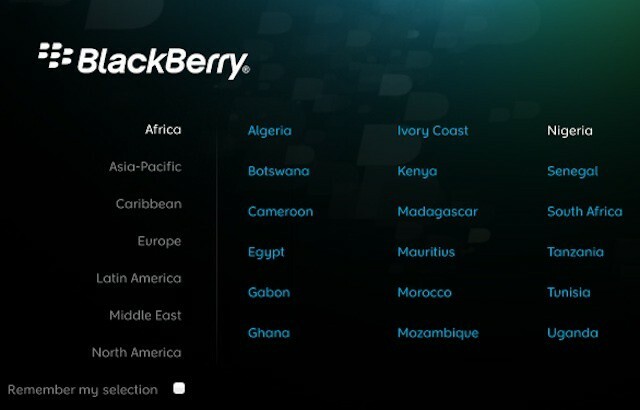 In addition to promoting its unfinished BlackBerry 10 mobile OS at BlackBerry World in Florida, RIM also made an effort to hype the success of its current BlackBerry 7 OS in developing markets, including Nigeria and Indonesia. It isn’t surprising to see RIM trying to prove that it’s still a competitor in the global marketplace by highlighting the platforms use in developing countries. During RIM’s latest financials call, the first one for its new CEO Thorsten Heins, the company acknowledged that markets in the developing world accounted for much of the company’s revenue. The company’s share of major western markets has dwindled over the past few years and RIM is even being beaten by Apple and the iPhone in Canada – the company’s home country that has traditionally been fiercely loyal to the BlackBerry brand. At the conference, Patrick Spence, RIM’s global head of sales, made the pitch for RIM as a success story in the developing world by inviting BlackBerry developers and partners from various world markets to a press session. According to Forbes reporter Brian Caulfield, Spence invited them to offer their thoughts on the BlackBerry in their home countries and provided a supporting presentation that included a series of random worldwide facts about RIM – like the BlackBerry brand being named one of the “buzziest brands” in India last year. The push for BlackBerry 7 devices in the developing world muddied the message set by Heins at the conference that the company was “laser focused” on delivering the platform’s successor – BlackBerry 10. On the one hand, RIM actually does have a point in that higher-end smartphones like the iPhone aren’t always a good fit economically for developing nations. That can allow lower-end or slightly outdated devices to paint a picture of success. As Caulfield noted in his coverage of RIM’s press session, however, Nokia used a similar argument to push its Symbian smartphone OS – a platform that the company shelved last year in a desperate attempt to reinvent itself around Microsoft’s Windows Phone platform.